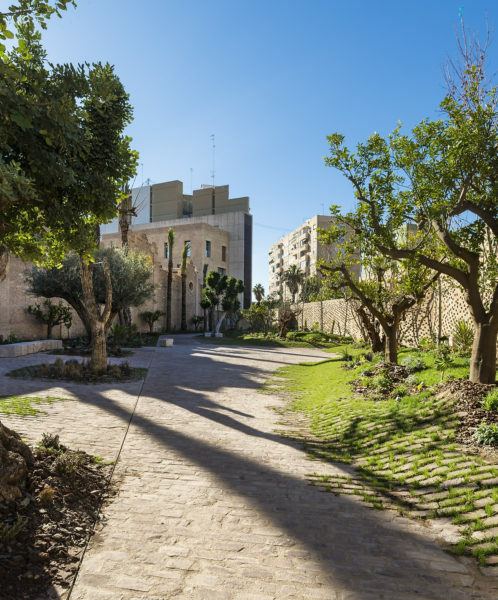 Bombas Gens has transformed into a garden what was previously the factory’s backyard: A 1.147 m2 peaceful space that inherits a modernist tradition and creates a lush and colourful garden. The design, signed by landscapist Gustavo Marina, responds to a dense layer that overheads a series of vegetable compositions of more than 100 different species, which have been mixed up in order to generate a naturalised environment. Broad leaf species with intense greens are located next to a myriad of flowers arranged as compositional scenes, enhancing the modernist spirit of the garden. 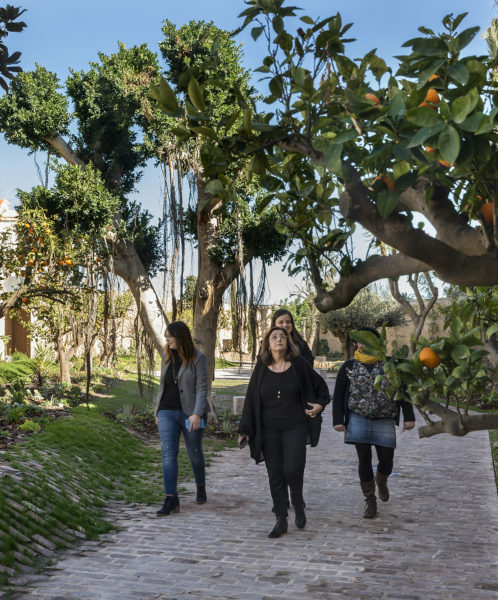 It includes citrus fruits and pomegranate trees — recalling the vegetable garden that was once — palm trees and a jacaranda, alluding to what was inside Doctor Trigo’s factory commonly known among the neighbours as “l’arbre” (the tree). In this botanical palette we can find species that attract birds and butterflies. Species of great interest such as Lagerstroemia indica or an exceptional Camellia Sasanqua can be seen as well. 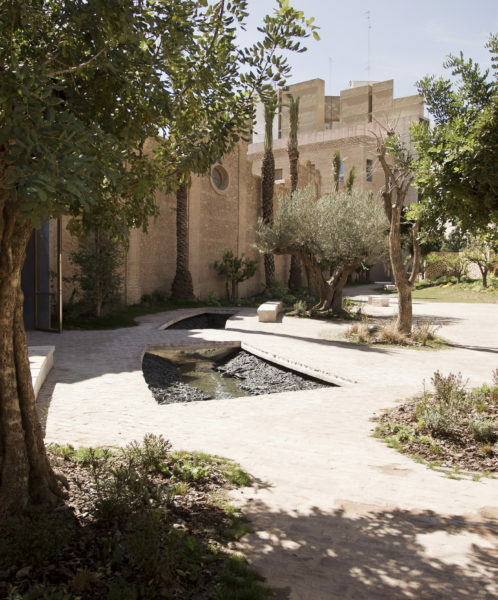 The garden recalls the period when Bombas Gens was built, and recovers the spirit of the place enhancing the value of the factory’s back façade and the rodeno stones used as pavement. Today, it aims to provide a reflexive and quiet environment — the perfect ending after visiting the art centre — a place to stop and digest the beauty. It is the stage for the different acts organised by the Fundació Per Amor a l’Art. Bombas Gens’s art is not only exhibited indoors. The exhibition space expands into the environment with an important sculptural, site-specific work by Cristina Iglesias, titled A Través (Across), as part of Per Amor a l’Art collection. In fact, it is the third piece by the artist to enter the collection in line with the philosophy of the foundation, which supports the purchase of more than one artwork per artist in order to be able to display their work more broadly. 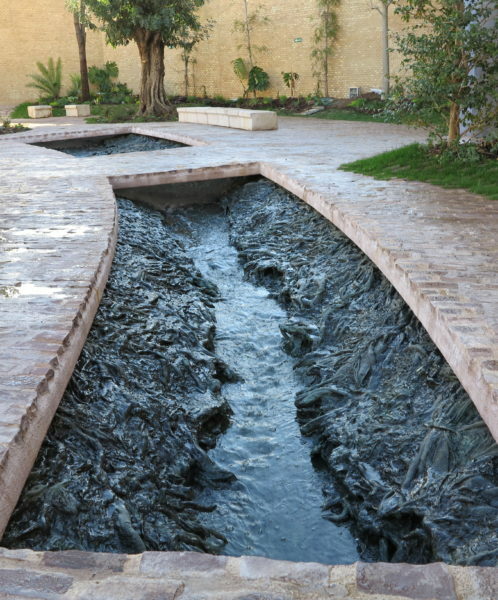 The intervention comprises two ditches of 14 and 11 m2 forming a curve inspired by the Túria riverbank. 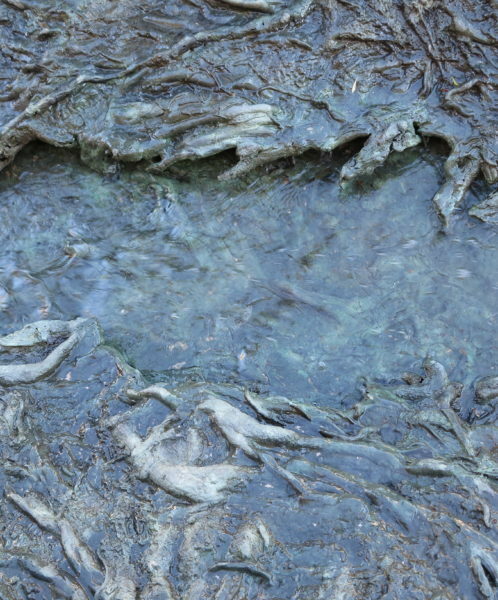 Each ditch includes several layers of cast bronze low reliefs whose overlapped views show an abstract interior with elements resembling roots and the bottom of the river. Two benches made out of stones recovered from the refurbishment of the building accompany the ditches. 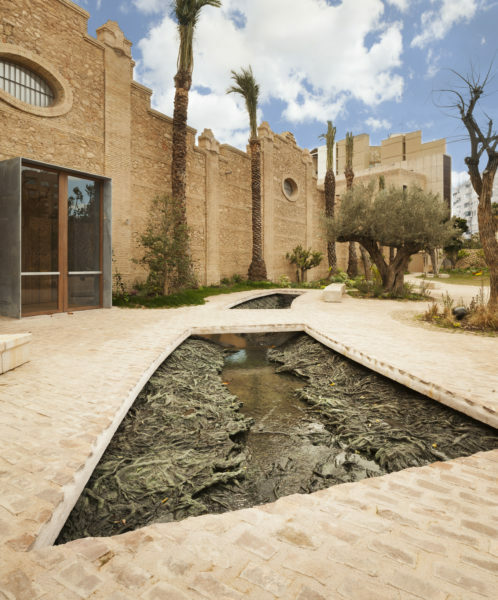 To create this piece, Iglesias studied the Túria riverbank and the 1957 floods, as well as the irrigation-crop layouts; exploring the relationship that water has had throughout the centuries with the area where the art centre is located. The garden with Cristina Iglesias’s sculptural work can be visited by guided tour only. Every visit organised by us —both art and heritage— includes the garden in its itinerary.